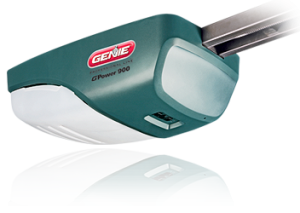 You can’t rely on size alone when selecting garage door openers Simi Valley CA. A single door made of a heavy material like solid wood may require more horsepower than the same door made of lighter material like vinyl. We can help you choose the right horsepower capacity and drive type for your needs. If the remote control is the most important part of the garage door opener to you, you’re not alone. Many people feel this way. You might want a fancy remote that lights up and warns you when it’s almost out of batteries, or just a plain old one button remote. You might be interested in premium features like code access and motion detection. Regardless of what your specific needs or concerns may be, we’ll help you find a quality remote and opener that will satisfy them. Any time you have trouble with your garage door opener or remote, you can call Carroll Garage Doors. It doesn’t matter if it turns out to be something silly like a dead battery or something more serious–either way we can help. Because our technicians are intimately familiar with all kinds of garage door openers, they will be able to provide a fast and effective repair. We can even offer you scheduled preventative maintenanceto keep your opener system working better longer. This service would include safety inspections, battery replacements, and opener motor tuneups.